Club Enerji (previously known as Tata Power Energy Club) in association with Rotary Club of West MumbaiÂ took part in the "SAVE ENERGY-SAVE EARTH" Walk. An Energy Conservation Walk was organized on 10th October, by Club Enerji (previously known as Tata Power Energy Club) and the Rotary Club of West Mumbai, to support the cause of energy conservation and spread awareness about the problem of global warming. 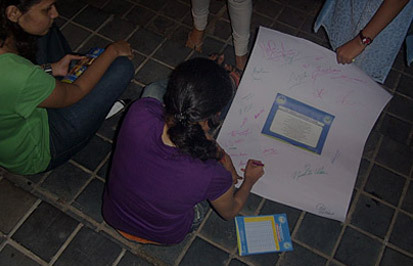 The walk was from Rizvi College, Bandra and continued along the stretch of Carter Road. In this event people were made aware about energy crisis and were also told to save electricity using various conserving measures. 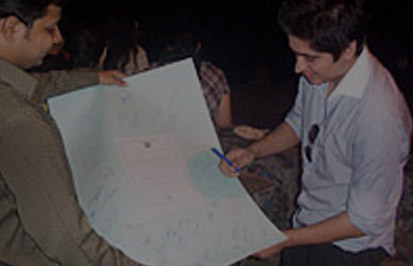 'Energy Conservation Pledge' and 'Save Earth Pledge' were signed by people. Along with conservation of energy, people were also made to have a 'Pollution Free Festival'. Candles were lit in order to spread the message of saving electricity as well as celebrating Diwali in a pollution free manner. 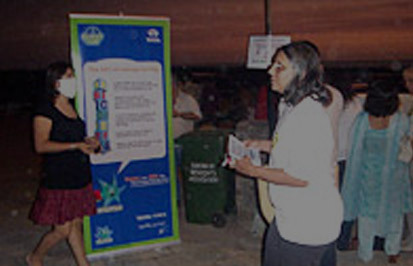 A total of 487 people were sensitized regarding the cause. Many encouraging remarks and feedbacks were given by people for the cause of electricity saving and having a pollution free environment. So, do you want to accompany us on out next walk?